Holistic healing; specialising in emotional and inherent trauma release and healing the inner child using Traditional Māori Healing. Mirimiri. Romiromi. Healing. Bodywork. Maori Healing. My name is Peho Howden from a rural residence called Ruatahuna in the North West of the North Island of Aotearoa/New Zealand. I am Tuhoe. I proudly and passionately provide healing and wairua/spiritual services to children, teens and adults to help transform their fear of spirit into faith and assist people to release mental, physical, spiritual and emotional blocks that disrupt their natural ability to function and flow with the natural ebb of life - Mauri. I am grateful for the rich Maori surroundings and Marae life that I was raised in; and its wealth of spiritual history that instilled in me the fundermental tools and teachings that lays the foundation of my work today. The healing work and spiritual services I provide encompasses teachings from Wānanga Lore and past down to me by my Ancestors and the spirit of my kuia/grandmother's and koroua/grandfathers. Mirimiri is an ancient traditional Māori form of bodywork based on Māori philosophies surrounding health and spiritual holistic wellbeing. It incorporates our connection to our environment and the ebbs and flows of Mauri (lifeforce) within everything and everyone. Mirimiri encompasses the balance of physical and spiritual work to bring about balance in a person. Mirimiri involves working with our Ancestors to create harmony and balance for the recipient; this is because the source of the problem may have been passed down through DNA and Whakapapa (genealogy) of the recipient. I describe Mirimiri as grandmother (kuia) energy. She nutures, comforts and cleanses emotional and physical pain to assist body and energy relief. Romiromi is the masculine healing energy which is deep tissue bodywork that penetrates and aggitates any physical imbalances to unlock hidden mysteries and suppressed trauma within the body that can cause you to be less than who you are and can also cause behavioural issues that can upset yourself, your personal life, living, your relationship, your work and even your basic decision making. Mirimiri and Romiromi (Māori Healing) can assist with traumatic release and restoration of spirit to bring peace to you and your family and bring clarity to your being. To apply Romiromi I use fingers, palms, elbows or feet, or traditional tools to apply pressure to acupoints on the body's meridians. Sometimes, Romiromi also involves stretching or acupressure. The Soul communicates through the body. The body doesn’t lie! It is a well-known fact that your thoughts and emotions directly affect the health of your body. The power of your mind translates into energetic vibrations that either create strength and well-being, or weakness and dis-ease. By trusting intuitition and tuning into your energetic frequency it is easy for me to know what your body needs and how to apply traditional Māori methods of healing as mentioned above. One of the greatest benefits of energy healing is stress reduction and relaxation, which triggers the bodies natural healing abilities, and improves and maintains health and holistic well-being. Energy healing is a natural therapy that gently balances the body’s life-force and brings health and well being to the recipient. Natural sound healing, symbols and light language is also incorporated to intervene energy to raise it's frequency leaving you feeling lighter, clearer and high spirited. All the above is provided in one healing session utilising other modalities if required. 60min $100 return clients or target specific issues. 90min $150 initial appointment for first visit. 120min $200 Te Òmai Reia full body and energy including cleansing spirit and traditional taamiri reading and guidance. All healing services (above)are available by video call to Australia, NZ or International or in person. I am based in Coomera Qld. Please contact if you have any questions. Readings - Traditional TaaMiri is the ability to read the whole person so a reading with me is not your standard psychic reading that you may be familiar with. The readings provided give guidance and healing and as a way-shower; the readings have a keen focus on pathway clearing. Readings are provided by phone or video call - 45min. Clearing/Blessing - Things going bump in the night and disturbing family members? Children as young as new born are a tell tale sign for energetic imbalance and earth bound spirits because they are naturally very sensitive to energy. House and land clearing is the process of releasing negative energy and healing unhealthy energy that has become trapped or contained within a house and/or parcel of land. Clearing and blessing delivered in person or remotely. Workshops - Healing Workshops held to teach and share traditional Māori and intuitive healing encompassing a uniquely designed template for self Healing and healing others. Please visit @healingwindsgc on facebook and keep an eye on "events" for updates. From healing sessions over the past 5 years my clientelle are grateful for improved physical mobility, restored function to limbs and joints, improved circulation, long relief to muscle and nerve pain, reduced anxiety and stress, balanced depressive states increased energy and zest for life that they have gained from a holistic approach. Based on Hau Ora philosophy we are made up of 4 dimensions and with Māori Healing I am guided through ALL 4 dimensions which are taha wairua (Spiritual wellbeing), taha tinana, (physical wellbeing), taha hinengaro (mental wellbeing) and taha whānau (family wellbeing). 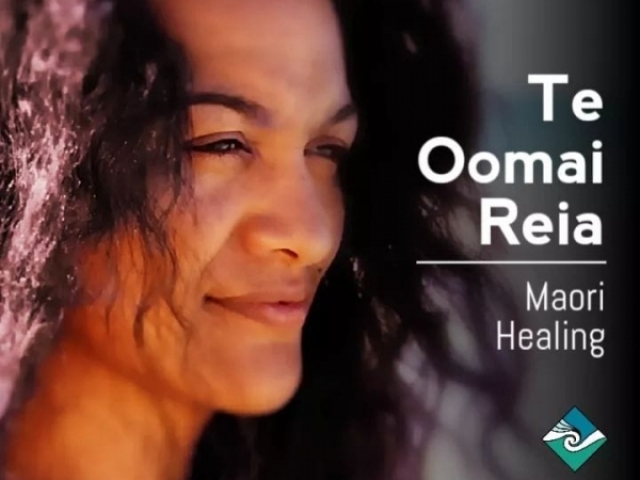 We work to clear, restore, align and balance these areas to bring you back to your state of origin; giving you a complete traditional healing experience. "I do not know how to explain in words how gifted and amazing my miri miri / romi romi healing session was. Peho is absolutely an amazing human, healer and genuine pure light". LKirikino, Brisbane. "Hi Peho. I think you changed my life! I’m not angry anymore. Feels like I can laugh again and enjoy life. I have found peace again.." LCarty, Victoria Australia. "Because of Peho and Healing Winds I now have more Respect , Faith and Love for Myself, Our culture, Our Ancestors and most of all the Work that Peho does. it is truly a must experience for YOURSELF". VNgere, Brisbane. Thank you and God bless you for taking the time to read through the details and if I can be of service or if you have further questions please contact me.